H.A. 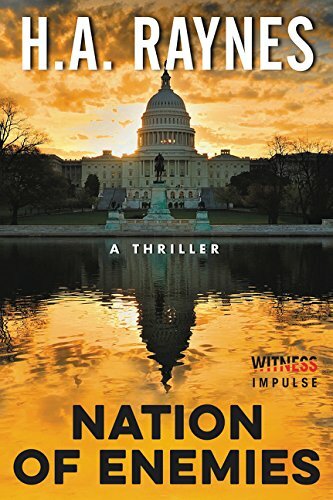 Raynes was inspired to write NATION OF ENEMIES, A THRILLER by a family member who was a Titanic survivor and another who escaped Poland in World War II. Combining lessons from the past with a healthy fear of the modern landscape, this novel was born. A longtime member of Boston’s writing community, H.A. Raynes has a history of trying anything once (acting, diving out of a plane, white water rafting, and parenting). Writing and raising children seem to have stuck. I write anywhere. A laptop, a coffee, and I'm all set.